KainXVIII wrote: So how do i enable borderless windowed mode with forced higher resolutions? In Blade of Darkness for example - i want 1080p, 4:3 aspect ratio and borderless w. mode..
Add property 'borderless' to GeneralExt\WindowedAttributes. So, add line WindowedAttributes = borderless. I must emphasize that this is not the 'fake fullscreen' feature. All it does that game window won't have a border when windowed mode is forced. If it's not defined then dgVoodoo forces a border to the window. Dege wrote: Do you have 'Disable Alt-Enter to toggle...' option disabled? If not (default) then dgVoodoo won't make any changes to the game window: its size (coming from the game) is preserved along with its border style. Well, DISABLING that option makes the window of the RIGHT dimension ! I experienced that some games just don't like if their window size or style got changed (including screen mode switching by Alt-Enter). They crashed or hung somewhere in the window procedure. So I decided to only allow size/style change if Alt-Entering is enabled as well. I may change this behavior in a future version, but for 2.55.x I don't want to do that, I should re-test a lot of stuffs again. So, briefly: if Alt-Entering is disabled then all the window properties are set by the game and left unchanged by dgVoodoo. I never tested this game, so for the time being, I cannot say anything about the problem. I guess it's the usual GDI/DDraw interop which is currently not fully supported in dgVoodoo, that's why videos don't show up in many cases. Or they do, in wrong size (for example, they are too small, aligned to the top-left window corner, etc.). i've also tested with the Kilrathi saga versions of Wing commander, all of them works perfectly with the DDRAW forks, though WC3 still has some CTD bugs. Dege wrote: I experienced that some games just don't like if their window size or style got changed (including screen mode switching by Alt-Enter). Any hypothesis about why letting the option enabled (default, so the game decides) Mech 4 has this issue and disabling it (so dgVoodoo2 decides) NOT? Tested Mech 3 Pirate's Moon -> Same behaviour! - The game creates its window, sets its size to something, probably to the game (application) resolution, along with some border style; dgVoodoo however will resize the window to the forced resolution and changes the border style according to the dgv config. And also, accepts Alt-Enter's to do screenmode switching. Yes, but I don't force any resolution, the resolution is set in game via ITS option menu, not dgVoodoo2 control panel. BUT dgVoodoo2 scales down the game resolution to the initial/menu window size (tipically 640x480 in old games). If option 'Disable Alt-Enter' is disabled then the behaviour is the correct (expected) one and I got a nice 1024x768 / 1280x960 window when the 3D part kicks in. When trying to use ReShade 3.4.1. with dgVoodoo2 on XCOM Enforcer, I get an error message stating the resolution was unable to be set (see Enforcer_Error.txt). 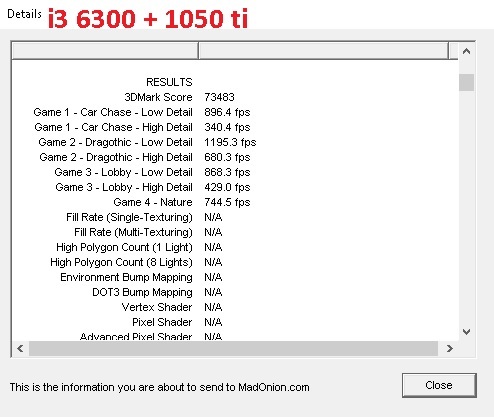 Note that I tried this on my new laptop, which has an NVIDIA GTX 1060 (w/Max-Q) dedicated GPU, which is the default for rendering 3D graphics, and an Intel UHD 630 integrated GPU which drives the display and cannot be disabled from BIOS. 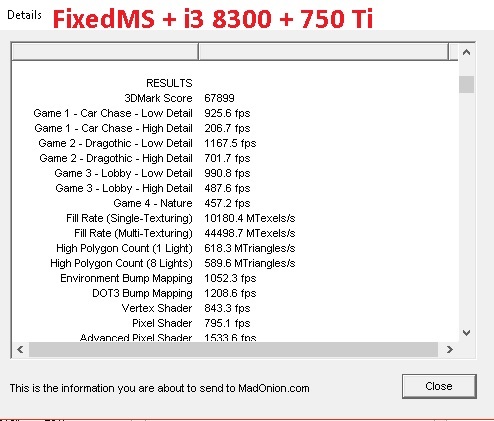 Forcing the dedicated GPU via dgVoodoo2 resulted in the same problem, while forcing the latter got the game running, although in a window instead of fullscreen as well as no ReShade. Also, the logs from both dgVoodoo2 and ReShade are attached to this post. 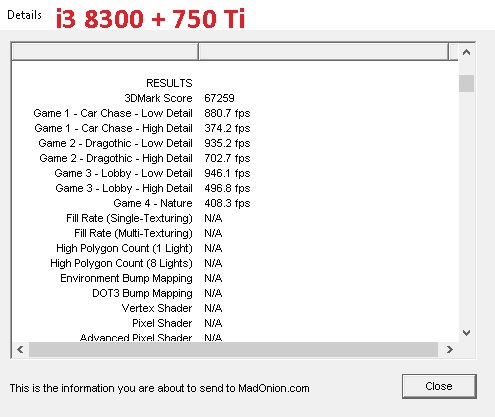 Dege, any explanations about why - using dgVoodoo2 - a 750 Ti with a quad core can overpower a 1050 Ti with a dual core+HT in nearly every "High Detail" test of 3DMark 2001, Nature apart (pixel shader heavy load)? Hello Dege thank you for dgvoodoo2 but i have a little Problem with a Game: Shogo: Mobile Armor Division 3820x2400x16 is working finde but i always get the mouse button flashing up in the middle of the screen. the Game is Playable but it is very irritating. Maybe you could fix this. Thank you. The Master wrote: Hello Dege thank you for dgvoodoo2 but i have a little Problem with a Game: Shogo: Mobile Armor Division 3820x2400x16 is working finde but i always get the mouse button flashing up in the middle of the screen. the Game is Playable but it is very irritating. Maybe you could fix this. Thank you. 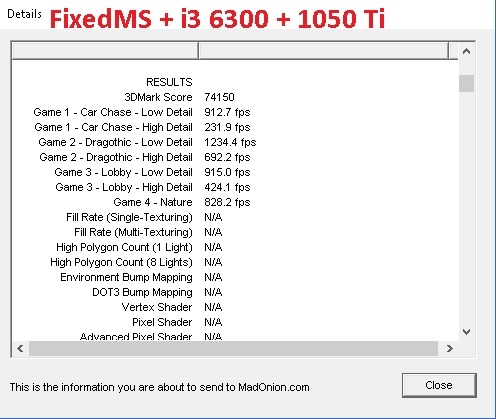 lowenz wrote: Dege, any explanations about why - using dgVoodoo2 - a 750 Ti with a quad core can overpower a 1050 Ti with a dual core+HT in nearly every "High Detail" test of 3DMark 2001, Nature apart (pixel shader heavy load)? So NO real difference for 1 thread processes. Any word on RIM: Battle Planets? Since it used to have no 3D models, but you fixed it and now they just clip from the camera too early, I'm wondering if you might have an idea of what's wrong? Or is it a new problem? here's the debug with WCIV, i need to alt+enter every time when i change menus. ZellSF wrote: Any word on RIM: Battle Planets? Since it used to have no 3D models, but you fixed it and now they just clip from the camera too early, I'm wondering if you might have an idea of what's wrong? Or is it a new problem? Umm, sorry... I completely forgot about that. But will have a look at it.